(MENAFN - ForPressRelease) 4th April 2019 - Dr. Yaseen AI Kamas, an Engineer, a Ph.D. and the COO of a large Emirati private equity investment group, is now the holder of the CFA certification after intense training at the institution of Kaplan Genesis. The CFA charter is a reckoned over the globe for being an explicit standard for professionalism and greater ethical benchmark acknowledged by the community of universal finance. To get the CFA charter, it is required for the concerned person to prove enormous devotion and greater knowledge regarding the investment profession. 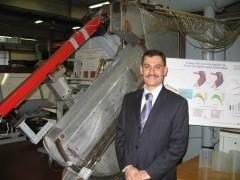 And, Dr. AlKamas has proved it thoroughly in his inspiring career. Kaplan Genesis, a premiere e Emirati investment & finance training institution, was proud to declare that its student Dr. AlKamas has passed all three levels of the exam and thus has become a CFA Charter holder successfully. Interestingly, Dr. Yaseen by nature is very polite and simple who is very passionate about learning new things and is a hard working person. At the same time being CFA Charter Holder, Dr. AlKamas holds Ph.D. in Mechanical Engineering, University of Baghdad 1998-2003, Strategic Studies Dipl., Executives Course N.D. Univ., Washington DC, 2004, M.Sc. Eng. Fluid Mechanics Engineering, University of Technology, 1992-1995, and B.Sc. Eng. (honors) in Aeronautical Engineering, University of Manchester, UK, 1987.